Joel Stepanek is the director of resource development for Life Teen International and a highly sought-after speaker. He lives in Phoenix with his wife, Colleen and their two children. Forgiveness is possible! God always has more for us—more of this love, more of his grace, more of his peace. 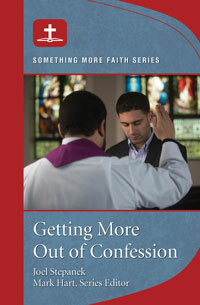 Getting More out of Confession will guide you or your small group in growing closer to God through the Sacrament of Reconciliation.